Have you ever considered replacing your natural lawn grass with synthetic grass? Artificial grass sure does have its benefits, but it’s important to understand what you are getting yourself into before making the crossover. Below we will look at the costs and maintenance tasks associated with artificial turfs. Artificial grass is essentially a surface of synthetic fibers that have been manufactured to mimic the look and feel of natural grass. 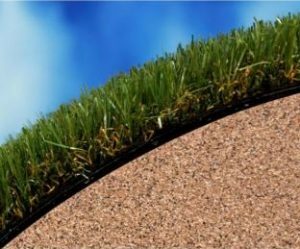 Currently, there is a wide selection of artificial grass including short-bladed and long-bladed grass. An artificial soil-base usually accompanies synthetic grass. Artificial turfs have a wide range of applications but are most commonly used in the sports industry. Recently, there has been an increase in the uptake of synthetic turf in both commercial and residential settlements. When shopping for artificial grass products, it is advisable to go for those that feature an ultraviolet (UV) coating. The UV coating protects your synthetic turf from damage associated with prolonged exposure to sunlight. Furthermore, turfs with UV coating can withstand summers and hot climates better than those without this feature. For most synthetic turfs, you will have to excavate about 5 inches of ground before laying out your turf. The base layer should comprise of crushed rock and fine aggregate to ensure the ground below remains level. This combination also ensures the base layer remains stable for many years especially when heavy foot traffic is common. How much does it cost to install synthetic grass? Artificial grass installation costs between $1- $5 per square foot depending on the quality and characteristics of the turf chosen. Once professionally laid, you won’t be spending a single penny for the next 10 to 20 years. What are the merits of laying an artificial turf? With synthetic turf, you tend to worry less about water drainage, unlike regular grass. In fact, filling your landscape with artificial turf can save you a lot on water bills. Also with proper ground preparation and infilling, artificial grass requires minimal maintenance compared to natural grass. Finally, synthetic turf has a useful life of between 15 to 20 years, much more than regular grass.